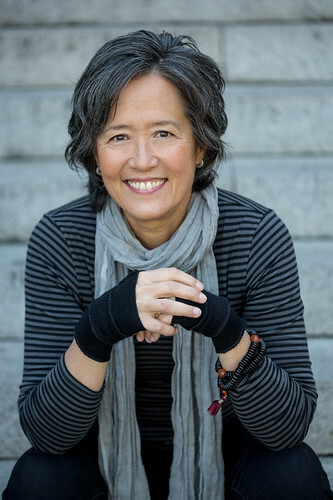 “Ultimately, all the creative arts are testaments to the foundational truths of Buddhist principles,” says Canadian-American writer Ruth Ozeki. Whether tracing the themes of interdependence and non-attachment, crafting characters who are Zen Buddhist nuns, or using her meditation practice as a springboard for new work, Ozeki has become a uniquely Buddhist voice in modern fiction. Her most recent novel, A Tale for the Time Being (Penguin 2013), was shortlisted for the Booker Prize. The story of a bright, bullied Japanese schoolgirl emerged out of Ozeki’s meditation practice. “It grew out of many many hours of sitting, many many hours of meditation and reading Dōgen, sitting with the writing and the teachings, and then trying to figure out a way of realizing those on the page,” she says. While there are some obvious Buddhist links in the novel, much of it is more subtle and complex: for Ozeki, fiction itself is a Buddhist act, intimately linked to ideas of selfhood and connectedness. The creator of three novels, multiple essays, and documentary films, Ozeki weaves Buddhism into her work in both subtle and overt ways. She is a Zen Buddhist priest and a novelist, and those two identities often overlap in her writing. She isn’t consciously processing specific Buddhist themes, she says, but they emerge organically, alongside whatever interesting jetsam that happens to float into her consciousness that day. In that way, Buddhism is more of a cohering principle than a deliberate theme: a way of writing or an attitude toward fiction that defines Ozeki’s work. Her family didn’t practice religion, but she has early memories of Buddhism seeping into her life: discovering her grandparents sitting zazen in the bedroom; playing with a Daruma doll; discovering a mala, or Buddhist rosary, and realizing it had something to do with her family’s background. At the same time, she was growing up in the 1960s. “Buddhism and Eastern mysticism and religions were getting popular thanks to the Beatles and Beatniks, the seekers of that time,” she says. She flirted with Transcendental Meditation and studied abroad in Japan—but was put off by what seemed like a male-dominated Zen practice. It was not until the mid-90s, when her parents were aging, that she sought out Buddhism seriously. It was “the encounter with sickness, old age, and death that really was the turning point,” she says. “That’s when I started taking my practice very, very seriously.” She studied with archarya Judy Lief in the Shambhala tradition for about five years before finding the San Francisco Zen Center. She received lay ordination in 2005 and was ordained as a Zen priest in 2010. In 1997, she also began to write fiction. For Ozeki, the very conceit of fiction is Buddhist: “The very act of storytelling is a performance of interbeing, or dependent co-arriving. Every story depends on a sense of ephemerality, on time passing. Every story you can think of relies on impermanence because stories are all about change,” she says. Ozeki often plays with ideas of time. 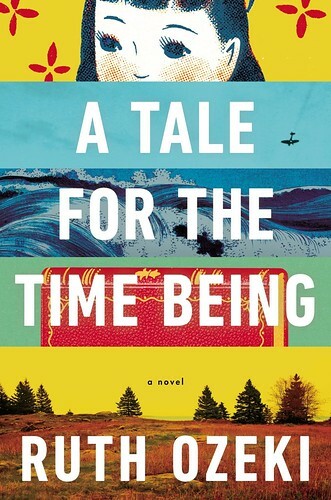 A Tale for the Time Being features a protagonist named Nao, and the story shifts back and forth between the characters’ pasts and presents, between fiction and nonfiction, history and imagination. Each of these stories relies on the others, building toward a cohesive conclusion; the novel could not function without each story arising and dying out, leaving space for the next moment. The reader, who forces the story forward in time by reading, is also part of that ephemeral process. A Tale for the Time Being also plays with the authorial voice, using a character named Ruth, who is sort-of-but-not-quite the author, to frame the story. For Ozeki, the Buddhist teaching of no-self is “really central to the way that I play with autobiography in all of my work,” she says. “When I put ‘myself’ into a work, it is very much with this sense that this version is a fiction; it doesn’t have any kind of inherent reality, but it has elements that map onto my own lived experience.” By viewing her writing through Buddhist ideas of selfhood, Ozeki gives herself room to play the line between fiction and nonfiction—everything she writes is hers, and also a performance of herself in the moment. In her short memoir The Face: A Time Code (Restless Books 2015), Ozeki describes a process of staring at herself in a mirror for three hours, noting the process of her own thinking as she observes her face. This meditation takes her into her family history, Japanese Noh drama, and the difficulty of aging as a woman, but it ultimately centers a fragmentary, presentational self in that moment of reflection: who are you right now? This question echoes through much of Ozeki’s work, and the answer changes moment to moment. Literature, she says, depends on this act of deep connectedness. The fact that human beings can read, write, and connect through art is, for Ozeki, a manifestation of the Buddha’s teachings. Whether writing about Tokyo maid cafes or reading Dōgen, the ability to try on another person’s story, for a brief, fleeting moment, is what makes fiction matter.